An Institute Management System Project is for automation of all types of Educational Institutes. This project is an online application developed in ASP.NET and SQL Server. This is a medium sized project for managing educational institutes. This project is implemented for educational institutes to manage accounts of Course details, students record, employees record, old students information and placement details in single application. The main aim of this projects is to give the entire details about the institute. In existing system most of the institutions work on manual method which is a time taking process and there are chances of loosing data. 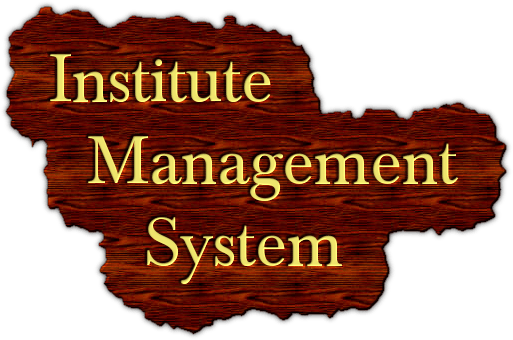 This Institute management system web application will provide solution for these problems and implement best method to handle institution details. We are continuously working on this project and we will update the latest versions when available. This is an ideal project for Diploma, BCA, MCA and BE students who want to do academic project. ASP.NET C# (C Sharp) is used as the project front end and MS Access is used as the database back end. Razor is an server side markup language and it supports both C# (C sharp) and VB (Visual Basic). In this project we have used C#. C# codes are case sensitive and all the statements in C# ends with semicolon. All the variables in C# declared with keyword var.